The main objective of this post is to give an idea of how to work with wheel collider and physics of Wheel Collider. No worries... You'll know everything about Wheelcollider after reading this post. Wheel Collider is a special kind of Collider which is used for vehicles. It has in built collision detection technique and physics of actual Wheel. It can be used for objects other than wheels (like bumper Boats, bumper cars etc which uses suspension force ), but it is specially designed for vehicles with wheels. 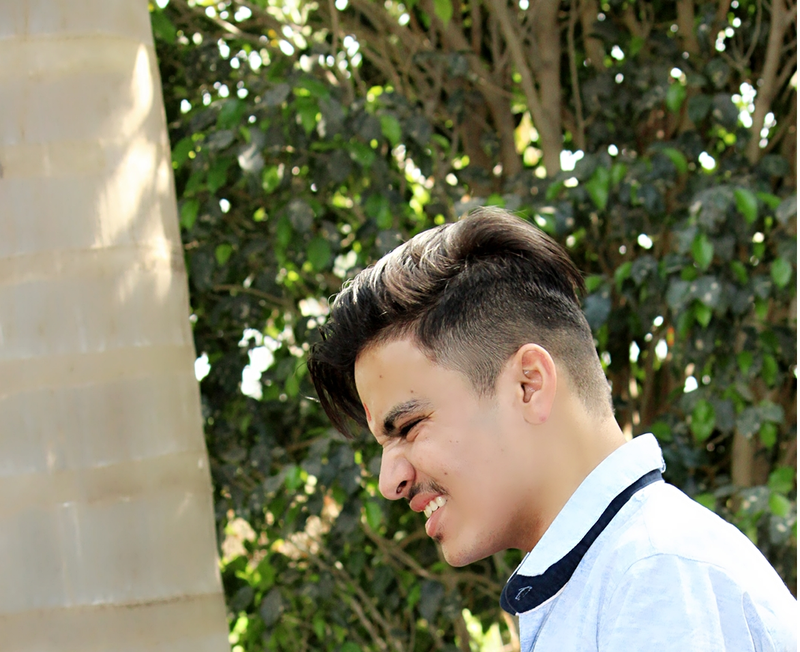 Is there is anything special which is not in other Colliders? Yes, each and every collider has something special (That’s why Unity created them). In this Collider, you will get all the components which are used to make vehicle drivable. Do have any idea about components..? No problem, I will explain components here. Here, I have explained everything. This is how you look at your dashing and shiny car. But, Unity doesn’t have good eyesight. 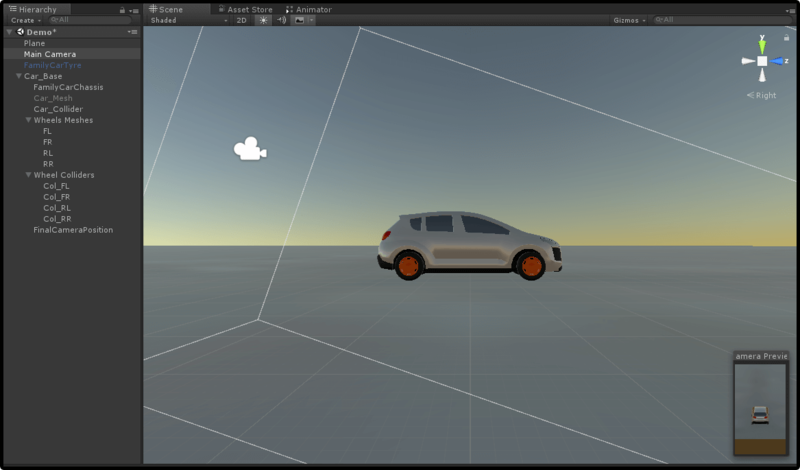 So Unity looks at your car like this. 4 wheels colliders and 1 car collider, that’s it! Now Let’s Discover inside Wheel Collider. Wheel doesn’t have any shape it is Raycast based. Below I had given a little introduction about physics of wheel collider. Every Wheel counts it’s sprung mass. Sprung mass (not weight) is used to apply individual force on each wheel. 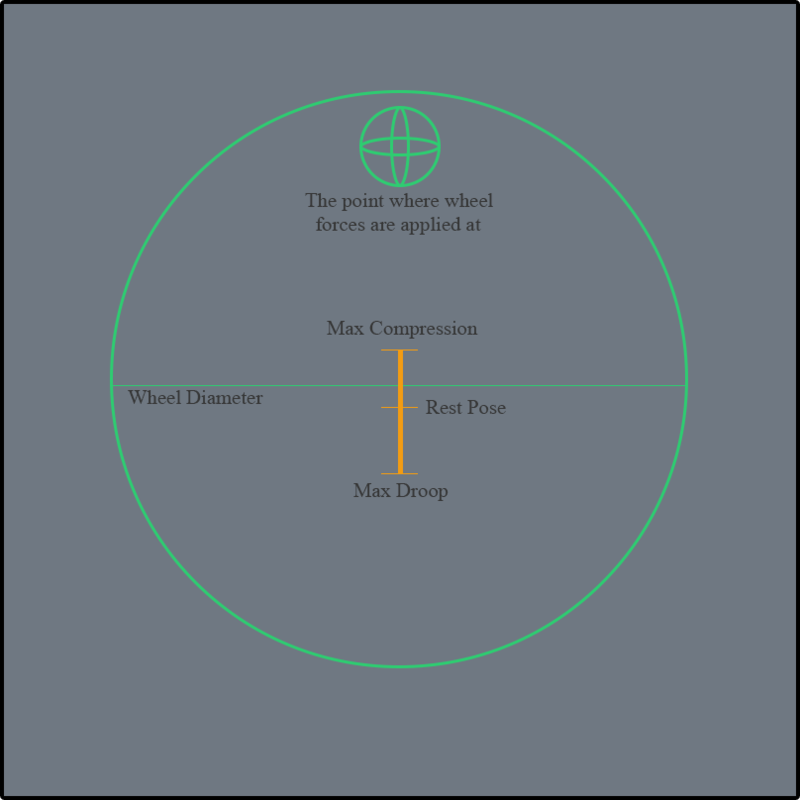 Suspension Distance is the distance between max droop and max compression. This suspension is calculated based on rest pose. jounce offset of the wheel relative to the rest pose. stiffness that means physics friction. 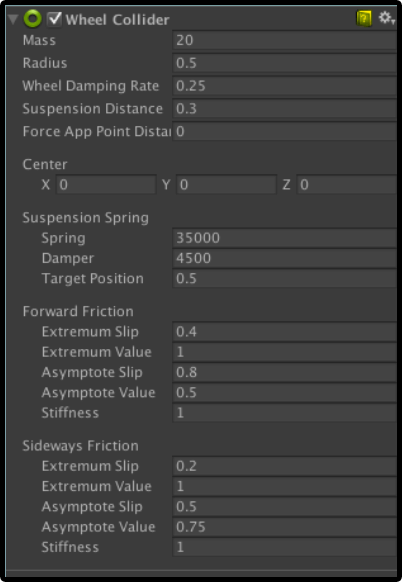 (setting this to 0 means no friction change this runtime to simulate in various ground material). jounceSpeed wheel moved with suspension travel direction. Tire simulation rather than using dynamic or static material slip-based material is used. First we need to setup Scene for that (Don’t Worry that is Easy part). Step 1: Create a 3D plane Object give it scale of (100, 0, 100). Step 3: Import 3D Car Model inside your Scene (you will get download link below) add as a child of Car. Step 4: Take Mesh Collider and add as a child of Car name it ”CarCollider”. Step 5: Create Two empty GameObject inside Car name them as “Wheel Meshed ” and “Wheel Collider”. Step 6: Inside Wheel Meshes add 4 empty GameObject name them as “FL” ,”FR” ,”RL” and “RR”. assign Mesh of Wheel (you will get download link below). Set their Position. Step 7: Inside Wheel Collider add 4 empty GameObjects name them as “Col_FL” ,”Col_FR”, ”Col_RL” and “Col_RR”. Add wheel collider as their component. Set radius of colliders same as the size of mesh and set their position same as the mesh have. Yeap, Its Done! actually that was the Difficult part to setup scene. Now Time for really easy part Scripting. In this AxleInfo Class, we are going to store info for a pair of the wheel. leftWheelCollider / rightWheelCollider WheelCollider To drive a car using WheelColliders inbuilt physics. 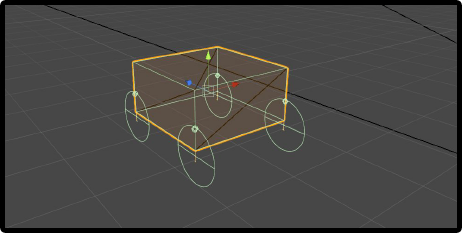 leftWheelMesh / rightWheelMesh GameObject To Visualize rotation and movement of wheels. motor bool Enable movement of this pair of wheels. steering bool Enable rotation of this pair of wheels. Now, Let's go for long drive ;). This script is to drive Car. I know, this script was a little bit difficult but I am here to help you. axleInfos List List of AxleInfo Which contains a pair of wheels data. maxMotorTorque float maximum Torque is applicable on Vehicle. maxSteeringAngle float Maximum angle at which wheel is rotate. brakeTorque float Torque is applied when a brake is pressed. decelerationForce float This force is applied to stop the vehicle because of friction. This Method takes one argument: axleInfo. 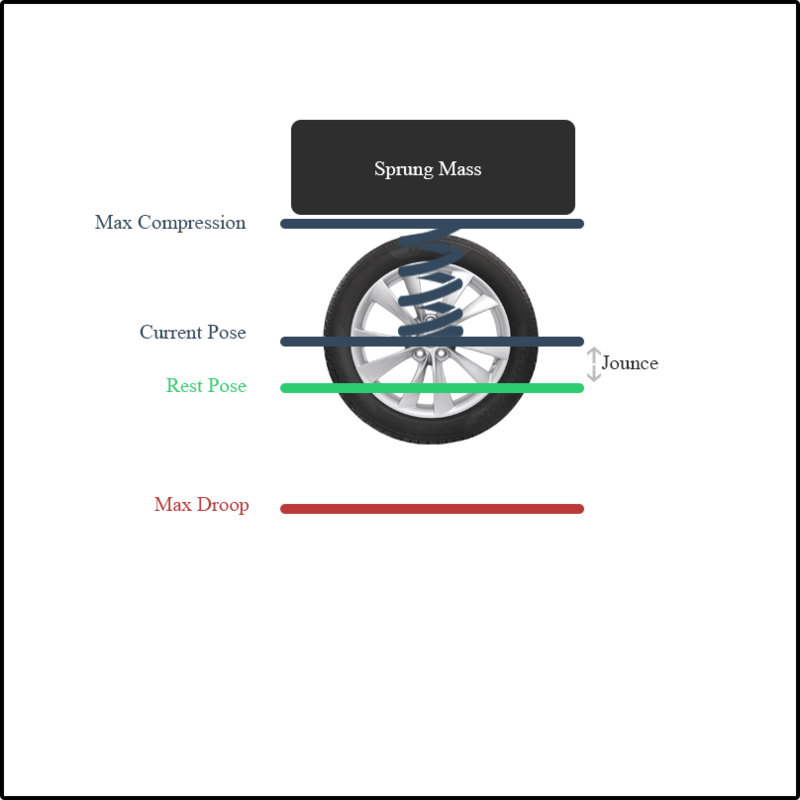 This method is used to Display rotation and position of WheelMeshes. This is Unity callBack used to do certain changes in physics at fixed time. Inside that, we will take Input. Vertical: W/Up Arrow for Forward & S/Down Arrow for Backward. Horizontal: A/Left Arrow for Left Side Rotation. & D/Right Arrow for Right Side Rotation. 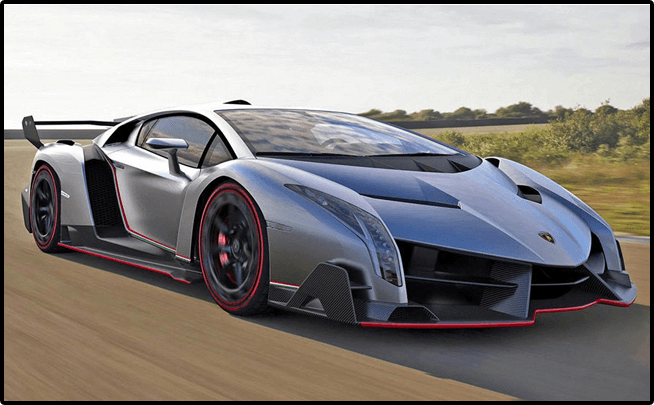 Assign this Script to our “Car” GameObject. Add Size of AxleInfo to 2. Now add your Colliders and Meshes to appropriate Location. We have 3 methods to Control Car Acceleration(), Steering() and Brake(). You can relate all the methods listed below. These methods are works like how actually Vehicle we drive in reality Accelerator, Brake(No Clutch here). It is used to make the vehicle move forward and backward. If forward or backward buttons are not clicked then need to add Deceleration(). motorTorque is used to add torque (In forward or backward direction) in a vehicle. When the vehicle is moving at that time brakeTorque is needed to change to 0. It is used to stop the vehicle when forward and backward buttons are not pressed. It is used to turn angle of vehicle. It is used to stop the vehicle using brakeTorque property. This is the last thing to make your car drivable. Enable motor if you want to Apply Force and Suspension on That Wheel. Enable Steering if you want to give rotation Force on that Wheel. Maximum Motor Torque change as per your car’s Rigidbody mass. Maximum Steering Angle must be between (30-35). Brake Torque depends on how much Brake Torque you want to apply. Deceleration Force is must be less than Brake Torque. Experiment with This Value to make your Car run smoothly. Brake Torque and Deceleration Force value need to be much higher to stop usually(1e+5 to 1e+8).